ANGELINA is an AI system that can design simple games, made by Mike Cook, an AI researcher at Falmouth University. 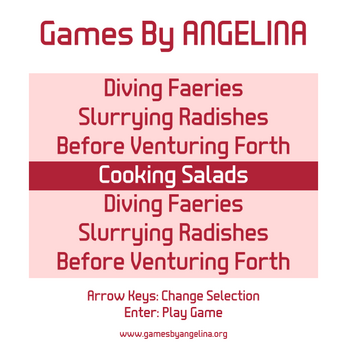 The latest version of ANGELINA makes games that are little text files, but in order to play them you need this application. 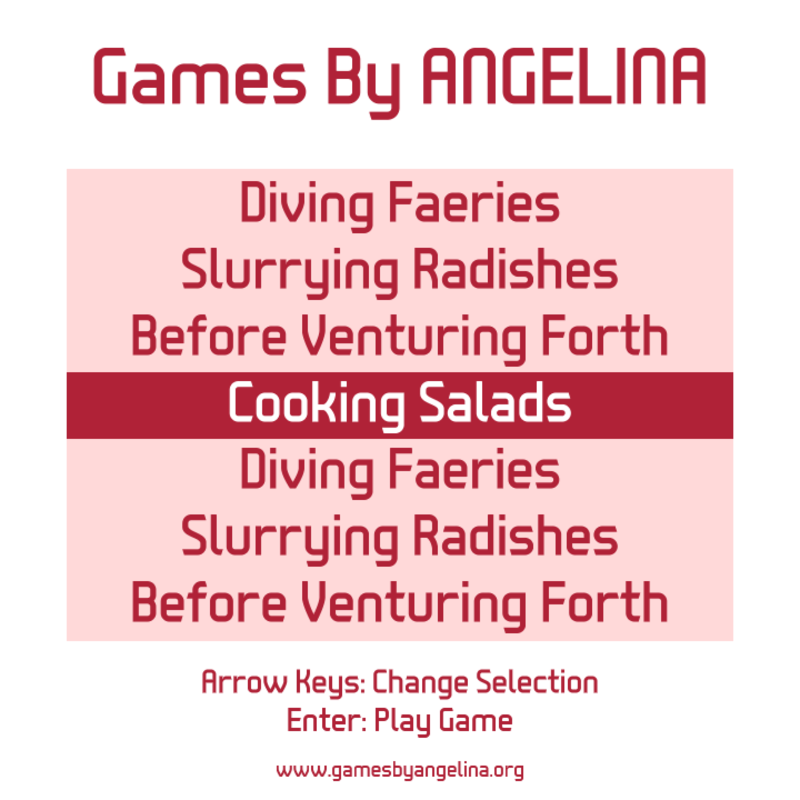 Drop one of ANGELINA's games in the 'Games' folder, and start the app. You should see it in the main menu. Ace Comcat: a simple puzzle game about guiding mice to cheese. Designed live at Eurogamer's Rezzed expo, London, 2018. Acow For: a much harder puzzle game about avoiding loss. This one takes some thinking to work out. Designed live at Eurogamer's Rezzed expo, London, 2018. You can find out more about our work on the project website. This is a mini-console of sorts, used to play games written in the ANGELINA description language. Drop a game file into the Games directory and run the app, and it should find it! There's an example game already in the zip provided.